TAWBAS is currently working to put the final touches on the development of the Fort Smith Star Park located near the Fort Smith airport. The Park's primary asset is the Dr. Roberta Bondar Northern Observatory. The site also includes reclined viewing benches and there are plans for an additional telescope/photography pad and interpretive signage. The Observatory is now functional and we will be posting our operating schedule soon (as part of this web-page). 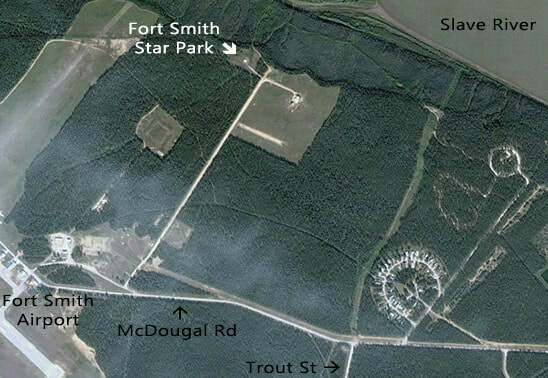 TAWBAS is entertaining offers of sponsorship of this project as well as sources of funding to assist with the ongoing operation and maintenance of the Fort Smith Star Park and Observatory.. 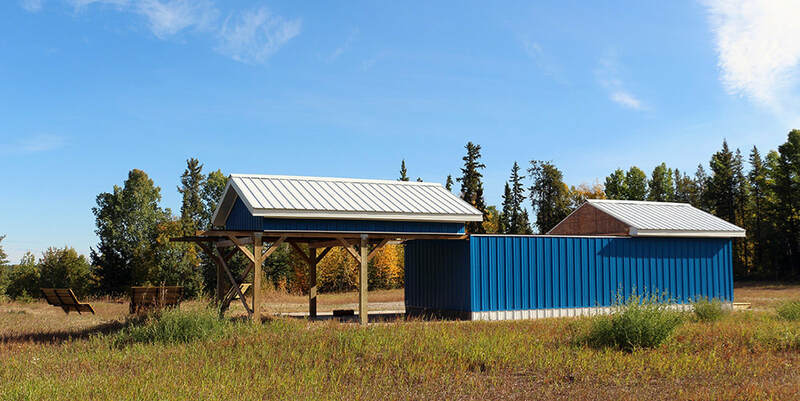 The roll-off roof observatory facility is 12' wide by 28' long and is divided into two sections. 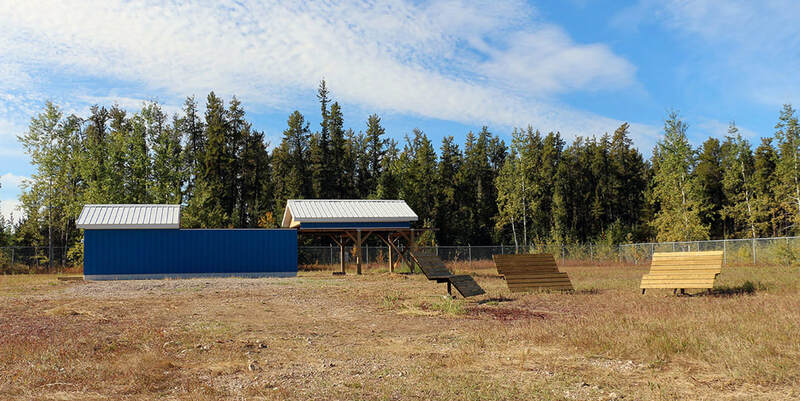 The observing area is 12' by 16' and has two permanent telescope piers, the walls are roughly 6' high allowing excellent viewing of most of the sky while protecting you from the outdoor elements. There is an adejacent 12' by 12' control and warming room. Sky-Watcher Black Diamond ED80-OTA (apochromatic refractor). Both scopes are fully accessorized for astro-photography.